Angular JS is a structural framework developed and maintained by Google and used for developing dynamic web apps. This web development course will introduce you to the latest version of Angular JS, the new features in Angular 2, and the core building blocks of an Angular application. By the end of the course, you will understand how to combine those blocks to create testable and maintainable front-end applications that are fast and responsive. 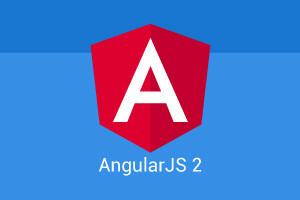 This free online course will first teach you what Angular 2 is. You will learn about client side templating as well as what a single page application is. You will then learn about the core philosophies of Angular and study the differences between Angular 1 and Angular 2. You will also learn about TypeScript and what it can offer your development environment including the uses of the different types of directives found in Angular 2. After studying the attribute directives and structural directives, you will look into data flow and providers. You will learn about interpolation and event binding, along with how to combine them for 2-way binding. You will learn what providers are used for, and you will learn how routing in Angular works for creating single page application. You will then learn how to combine all the features covered in the course to create a functional web application. Identify what a single page application is. Identify the core philosophies of Angular. Recognise the features of typescript. Discuss the process of installing Angular. Recognise the main building blocks of an Angular application. Identify how to create and use a component, attribute and structural directives. Identify what interpolation is used for. Discuss using event binding in Angular 2. Explain how routing works in Angular 2. Explain the purpose of observables. Recognise how to connect the building blocks of Angular. Identify how to create a basic task list application.